International Canadian folk band The Once and award winning song writer and singer John Flanagan will be performing at Ganmain Hall as part of the Festival of Small Halls 2019 Autumn Tour. Treat yourself to this professional gig at a local venue! 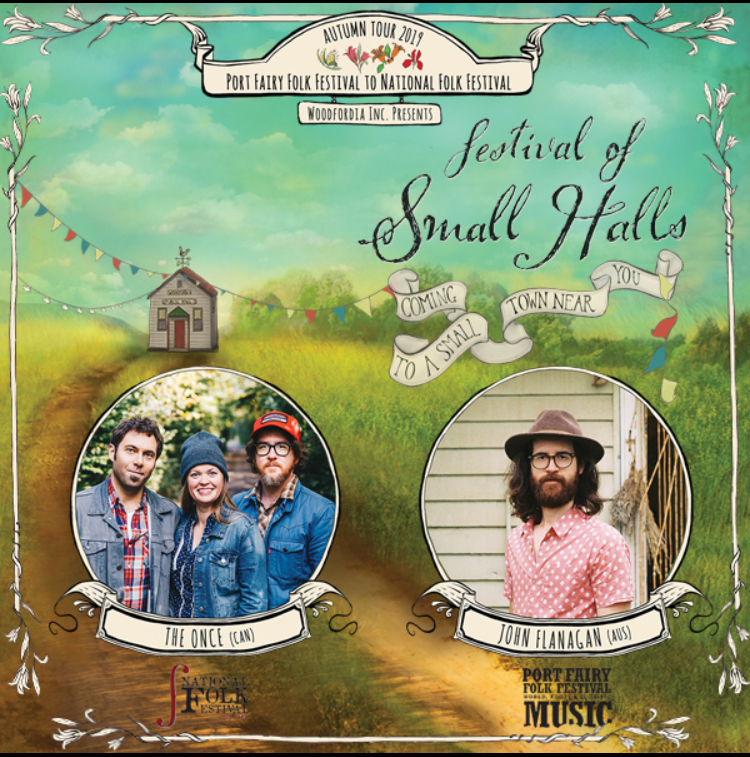 Visit Festival of Small Halls Ganmain website for more details.